Strategies to be used for being placed!!! Learning math is an interesting task and it is believed over years that those who are expert in math are the master brains in any other subjects. Math gives a good idea or the measures to understand the quantity in anything. Let me explain with some illusions that math is the mother of all subjects. Numbers are used to represent the quantity. Numbers are used for measuring the symbols. Numbers are calculated in shortcuts like roman numerals also. Numbers also represent the emptiness with zero. Small numbers are also represented in math like the fractional numbers. Numbers are used to measuring different shapes like circle, triangle, and rectangle. Math makes us think creatively in different angles and arrive at the required answer. Math is used in the business as well as in technology to measure the major elements. Students with excellence in math use their brains for the multiple subjects and analyze the challenges with the help of math. Math is used for the different branches of science such as physics, chemistry, biology, and modern technology. Physics is all about the experiments which are carried out with the use of numbers or math. Algebra, geometry, and analysis are the parts of math which is used in the physics. To take the weather report which comes under the stream environmental science math subject is used. The high speed computers are used to take the right report about the weather and thereby the math is used in the science subjects. The hardware or software in the computers need the administration skills or the programming skills which derived with the usage of the math only. To record the operations in the business, to calculate the profit or loss and to do the analysis the in the business math is used. The accountancy concepts used in the business are based out of math. 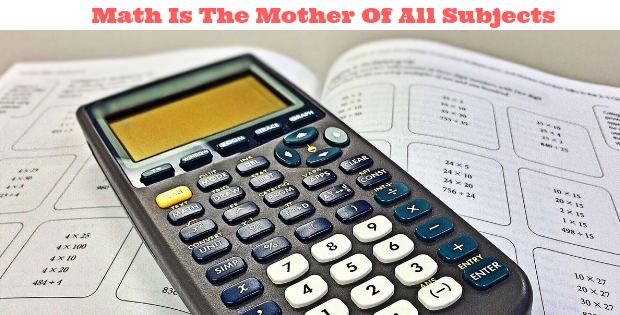 Math is the vast subjects and people with the knowledge of math are skilled professionals in different domains. The interest or the knowledge drives one to the respective subjects and the base is the math. Learning math is very important to excel in the different subjects and become an expert in the domain in which we pursue. Math is the subject which makes the students to think practically apply the real-time scenarios to the given problems to arrive at the solutions.